Biological science primarily deals with the morphology, physiology and biochemistry of living organisms, including their distribution, taxonomy, evolution, structure, growth, function and metabolism. All living organisms undergo metabolism, maintain homeostasis, have the capacity to grow, respond to stimuli, communicate through various means, reproduce and adapt to their environment through natural selection. The organisms that photosynthesize are the primary producers and represent life support systems from aesthetics to food to medicine. This book deals with the topics pertaining to biotechnology, molecular biology, ecology, plant pathology, bionanotechnology and stress biology. The requirement of food, medicines, natural products, the quest to resolve and develop a better understanding of life and other biological processes need to conserve genes, plants and ecosystems; the apprehension of land, water and the environment have led to the strengthening of traditional disciplines as well as the emergence of diverse disciplines such as stress biology, molecular biology, biotechnology and bioinformatics. Chapter 9. Do Cyanobacteria Have Enough Mechanisms to Counteract UV Stress? 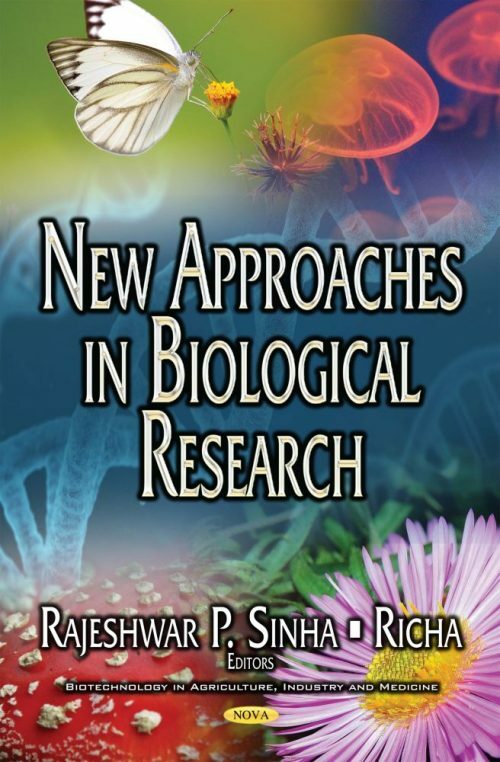 This book is highly useful and must read for students, researchers and professionals in botany, biotechnology, environmental sciences, agriculture, molecular biology and other streams of biological sciences.